Russia and Japan have no direct rail links. Volume of freight traffic stood at 500,000 tons last year. 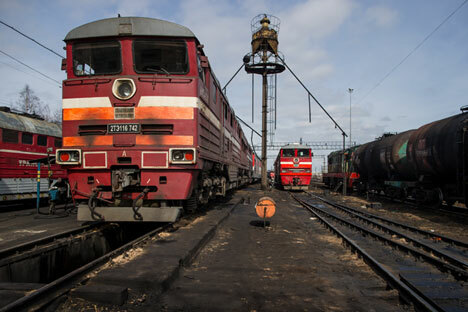 Freight traffic between Russia and Japan grew nine fold to 500,000 tons in 2015, the Russian Railways (RZD) said on March 1. RZD added that the traffic was boosted by its cooperation with Japanese manufacturers such as Toyota, Mazda, Mitsubishi and Subaru. “We are interested in attracting investments from Japan for the development of transport infrastructure, especially in the Russian Far East,” RZD President Oleg Belozerov said at the ‘Russia-Japan: Priorities for Business Cooperation’ forum, which was held in Tokyo on February 29–March 1. Russia and Japan have no direct rail links. Goods are transshipped from Japan to Russia via China or directly to the Russian Far East.